← Legacy Software or Mighty Opportunity?? We are seeing a deluge of new smartphones every month. CES showed some fantastic smartphones and MWC is going to show some more. All of these are megaphones. Huge screens, super crystal displays (give whatever fancy name you have for this, Super AMOLED, Retina, CBD…), capacitive screens, dual core and what not. But NOT everyone needs that. NOT everyone will have that. The features are getting endless and choosing a smartphone is not as simple as it used to be. Social Media is the name of the game and everyone in my timeline on Twitter discusses the applications available for Twitter, Facebook, Qik, Quora (?) etc. Everyone talks about the *rooting*/*hacking* and maximizing the phone’s potential. I am an email guy. Emails are me. My main method of interaction with friends, family is still email. (I know this is old book but hey, I have at least graduated from letters:)). And I am not even talking about the work mails. My dad finds it easier to mail, my brother in law is on mails, my sister has gotten used to it and my wife has started using the native GMAIL java app. There are many advantages for us this way. You come online, do the mailing and you are off. You can do a reply all or to all. Mind it, these are very very basic things I am talking about but I am just illustrating a situation in a normal non geek Indian household. Facebook is still too open for comfort and I still don’t see it cozy enough for family. So keeping in touch with a highly tech family is still done through voice, texts and emails. After all, emails are much cheaper than texts and voice and will surely be the step up the internet value chain for a savvy Indian family. I can see, a wife asking her husband, what to cook for dinner on mail rather than call. Ha ha! Sounds idiotic but this is exactly what’s going to happen and interestingly, I can tell you both of them with have facebook accounts! This is the age of Internet revolution in India. Most of people are buying phones with opera mini pre installed. I was talking to Aditya (@adkshirsagar on twitter) and he gave me an interesting figure. India has got 20% internet users. Bulk of those are formed by these bottom of the pyramid phones which give opera mini. 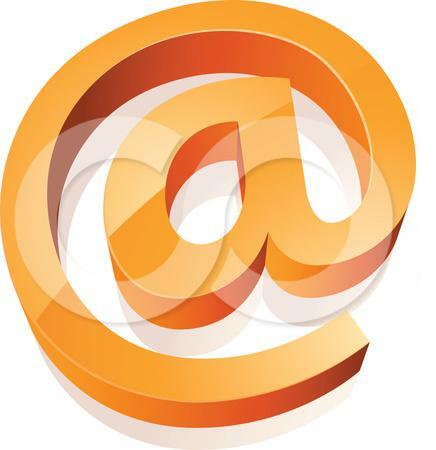 The first interaction for everyone happens through email! There you go! Emails are me and Emails are the majority of internet on phone beginners in India. Nokia and their poor cousins from the Indian companies are going to stay and are going to rule the Indian Market for a long time to come. 7 Responses to Emails are Me!! Thank you for going through the post and giving your views. Keep on giving suggestions. Thanking you in kind anticipation.